... Water Jet 511 Lanterna Pure White Polished Marble 13.10"x11.40"
Have questions about this product (ID: 1642)? 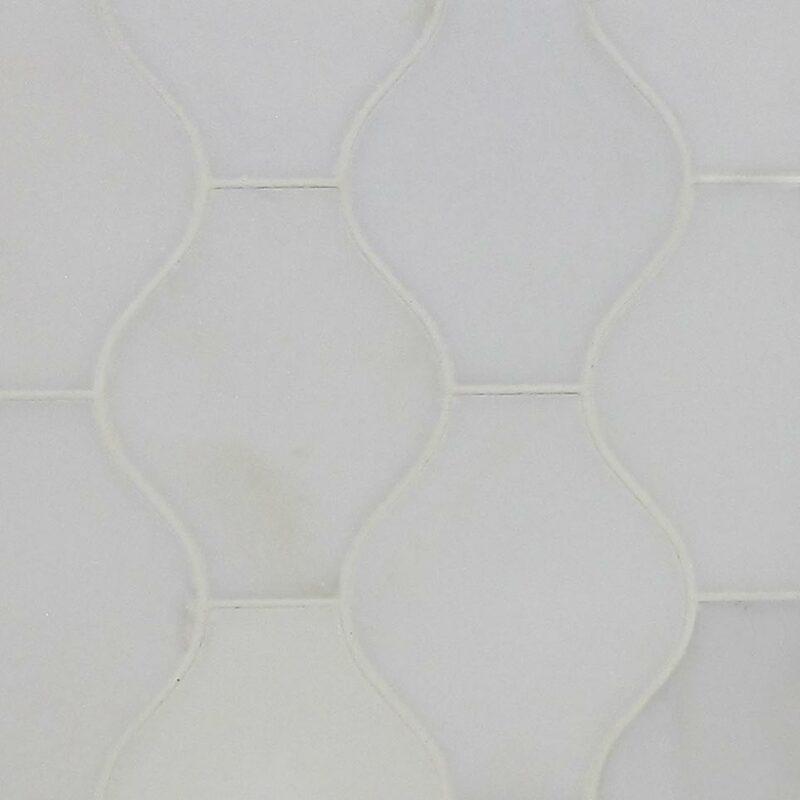 Water Jet 511 Lanterna Pure White Marble 13.10”x11.40” water jet mosaic is a great way to add an artistic touch to your décor. It is designed to interlock perfectly in order to facilitate its use on large surfaces. With complacency, you can apply this beautiful mosaic to your kitchen backsplashes, bathroom shower back walls and accent walls as well as shower trays and bathroom floors. Water Jet mosaics are the most precious way of finishing your decors. They will help you to explore your creativity for your new projects and also remodeling. WJ 511 Lanterna Pure White Marble 13.10”x11.40” water jet mosaic is a great way to add an artistic touch to your décor. It is designed to interlock perfectly in order to facilitate its use on large surfaces. With complacency, you can apply this beautiful mosaic to your kitchen backsplashes, bathroom shower back walls and accent walls as well as shower trays and bathroom floors.